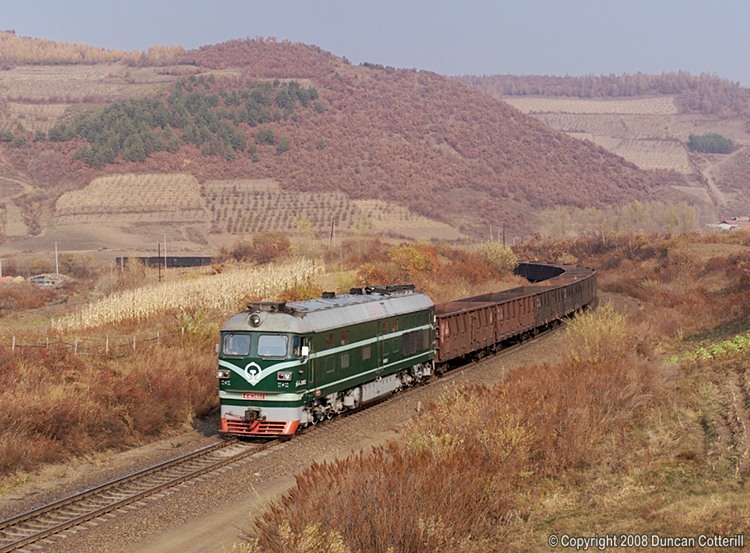 DF4 3802 rounded the curve at Shandi, east of Modaoshi with an eastbound train of empties on 14 October 2008. This is the same spot as the first picture in this series. Apart from the motive power, little appears to have changed in the intervening 16 years.